The inborNative Collective will be performing this night with tickets available for $10. Come enjoy beer, good food and amazing vibes all night. 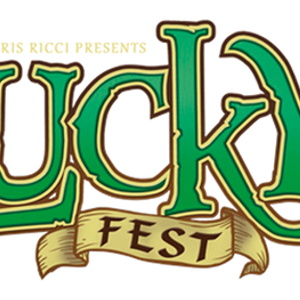 Chris Ricci Presents, Damsweet Productions, and Guinness are proud to present Lucky Fest. Lucky Fest is 25 Pubs built from the ground up for one day only. It’s the biggest St. Patty’s PubCrawl in Northern California. Our artists work year round challenging themselves to improve our pubs and to make this the St. Patty’s theme park of the Central Valley. The total of our twenty five refreshing establishments are bestowed with unique St. Patty’s themes. You may get arrested for various infractions like being too way too hot at the Paddy Wagon. You’ll be paraded in front of the judge where you might be asked to stand for mug shots at the Lucky Fest J*il or sentenced to a few moments in the stockade! You might run across a human foosball table, roomba beer pong, professional wrestling, or the world's smallest pub. We've got it all and just for $12 in advance. Regardless of what you do this is a festival experience you won’t ever forget!